The owner of the property purchased the house with the intention of using it as a rental property, which he did. In 2015, the property was rented by a couple who left the rental property on July 13, 2015. The owner decided to renovate the property over the remainder of the summer and rent it to new tenants in September 2015. He moved a "holiday trailer" to the site and parked it adjacent to the house. He stored tools in the house and used the washroom, but he had no food, clothing or personal items in the house. He did not sleep in the house during the renovation. On August 22, 2015, the house suffered $80,000 in fire damage. The Co-operators denied coverage on the basis that the house had been vacant for more than 30 days when the fire occurred. The Court agreed with the Co-operators. The Court found that the Policy at issue contained an exclusion which removed coverage if the house was vacant for more than 30 consecutive days. The Policy defined "vacant" in a clear and unambiguous way, such that effect should be given to its language. The owner was not residing in the house during the renovations and there was no tenant living in the house at the time. The owner submitted that the holiday trailer was an attached structure to the house. He argued by staying in the trailer, he was occupying the entire dwelling, as defined by the Policy. He based his submissions on the fact that the holiday trailer was attached to the house by an extension cord. The Court disagreed with the owner. The Court found that a trailer is not a structure, as the word is commonly used, nor is it similar to the examples of structures given in the Policy (garages, utility buildings or fences). 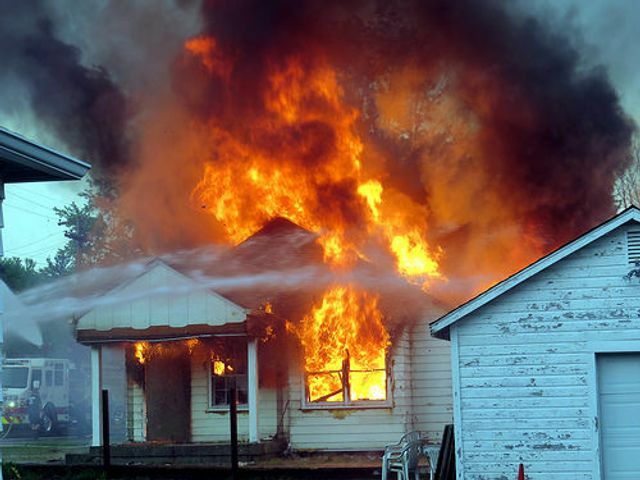 The Court found that the house had been vacant for more than 30 days when the fire occurred. The Co-operators had no obligation to indemnify the owner for losses arising out of the fire. A trailer is not a structure. It is not similar to a garage, utility building or a fence. Parking the trailer adjacent to the dwelling and plugging in a power cord to it did not make the trailer part of the dwelling or convert it into a structure or detached structure.